What the Hex is Going On Here? Let us take a trip down memory lane. Try to recall where you were on that fateful day, and what your thoughts were when you first learned that Donald Trump had defeated Hillary Clinton and would now assume the presidency of the United States. Did you even consider what the repercussions on that day would be, and the road we would travel to arrive at this point in time. How a segment of the American population would lose all semblances of sanity and decorum; lost in a swamp of miasmic decay, this hostile and reckless mob would take the rest of us to the point of disgust and deep concern for the safety and stability of this nation. No, I doubt back then you could ever have imagined how the ongoing culture war that the American people have been engaged in for some time now, would take such a troubling turn. Over the last two years there have been a number of times when we’ve witnessed the behavior of the mob, the Left, and said to ourselves, this is the last straw, how much worse it can get. Well, I’m going to add another dimension to the insanity that we are in the midst of, we will now leave the confines of this mortal earthly existence and enter the realm of the supernatural. On Saturday, October 20 at the Catland occult bookstore in Brooklyn, New York, the owner Dakota Bracciale, an avowed witch, held a gathering with an elite coven of sixty others in the black arts and, after a posting on social media, anyone else could participate for a $10.00 fee. The purpose of the assembled was to place a Hex on now Supreme Court Justice Brett Kavanaugh; yes you read that correctly a Hex, or as others might see it a curse, and this all took place right on the streets of the city. Even though most of us might think this is nothing more than a bunch of crackpots seeking their fifteen minutes of fame, this insanity was given wide publicity, and one local newspaper referred to it as a mystical event. I, however, consider it no different than a coven of witches prancing around naked in the darkness in some remote field around a ceremonial fire calling up demonic spirits, or some tribal shaman witch doctor creating an effigy of Justice Kavanaugh to stick pins in it to cause him harm. Sounds ridiculous, perhaps, but Wicca, witchcraft, has seen a revival in the 20th century and many of its adherents take it seriously. One of the organizers remarked their goal was to “exact some sort of harm on Kavanaugh”, and what about his family will they be sacrificed on the altar of collateral damage? The event description read “Brett Kavanaugh will be the focal point, but by no means, the only target, so bring all your rage and all of the axes you’ve got to grind”. 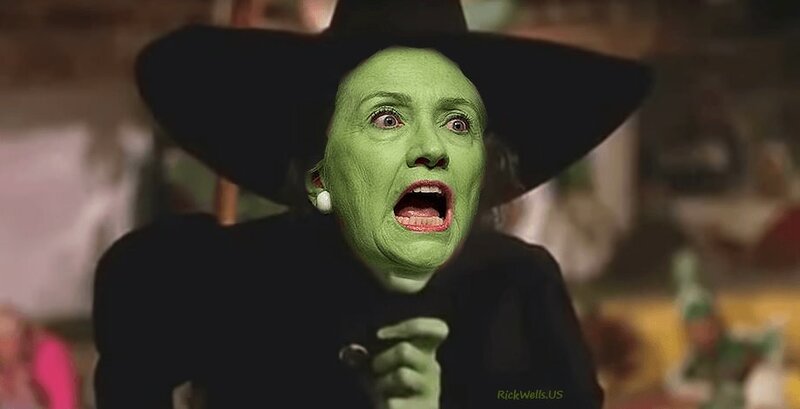 Head witch Dakota Bracciale stated, “The scariest thing that can happen to someone like Brett Kavanaugh or Donald Trump is to be seen as invalid and delegitimized by their own corruption”. This shameful and vile public display, which at one time in America would have been responded to with the perpetrator(s) being burned alive at the stake for witchcraft, think Salem, is all about summoning up a dark power to influence or in some way do harm to Justice Kavanaugh and the president. There is one other aspect to this event that should add another dimension, and tell us there was more to this spectacle than meets the eye. To invite or cause harm toward anyone, whether through physical or emotional abuse or conjuring up malevolent forces, is malicious and sinful. But according to the organizers, half of the proceeds collected will be donated to Planned Parenthood. So, not only do these servants of darkness want to “exact some sort of harm” toward Justice Kavanaugh; should we be surprised and expect anything different from these people who also have no regard for the sanctity and sacredness of life itself, especially that of the most innocent in the womb. Perhaps something positive however could be made manifest as a result of this perversion; if we accept the words of the French philosopher Voltaire when he wrote “A little evil is often necessary for obtaining a greater good”.